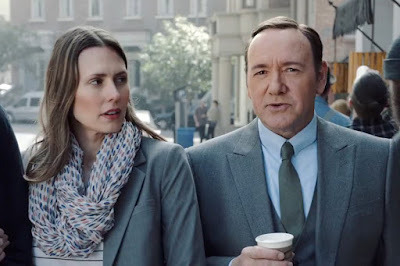 If you haven’t seen Kevin Spacey working with normal people identifying trends for E-Trade TV Ads it’s a great lesson in content marketing strategy. Google it! Every time I watch E-Trade TrendSpotting Ads, it also makes me want to identify trends as well. Numbers appearing out of thin air, charts and graphs coming alive. It’s kind a cool to imagine the possibility. I want to provide you 5 Tips to turn this possibility into a Great Content Marketing Strategy. Twitter, Instagrams and Google Trends are great Platforms that provides you Trends and what is getting the most Likes. If you haven’t joined either of those, I suggest using those tools to identify the trends you can adapt to, for your niches. Twitter is my go to TrendSpotter simply because it’s an all in one page and other TrendSpotters are there to actively engage and identify Trends. Once you Identify a Trend, you can use some keywords, create related materials that will catch your audience to engage with your emails. You want that, “Oh yea, people are talking about that” moments. What are some key things about this Trend? And can I use it? I have provided this article since the E-Trade ad was about spotting Trends and what you will do with them. It’s relevant for your investment in Email Marketing Software. How is this beneficial for my audience? Facts are information, how will it benefit my audience, is key to success. Why would they need this information? Is there a way this can go in the opposite direction? You must plan for the worse case scenario. If you identify any reason this can go wrong, discard it and move on. What demographics is this relevant to? Who is my audience and will they understand it? If you create misunderstanding and miscommunication, you will lose your audience and the Trend will seem irrelevant. Determine if this is right for your audience. Can you connect this Trend with your Call to Action? It really comes down to what you wrote and how it will drive your CTA (Call to Action). Trends are opportunities for you to capture engaging audiences. Using the tools is one thing, knowing how to let your audience know is another. You can ride the TrendSpotting Train for a while, unless the trend is continuous. If you can Identify a Trend early on, you’re in great shape to milk this opportunity. You can talk about what Trend is coming in right now before it happens. Create expectancy and bring awareness. If the Trend is going on now, create immediate attention and draw your audience to take action. When the Trend is slowing down, you can have them hold unto you so that you can be their guide to the next one. Consumers follow trends and it creates content marketing opportunities. People follow those who provide great information and would love to receive an all in one packages. If you are a TrendSpotter, you will be able to capture audiences that wants and love trends. You want just the right amount of bloggers, platforms that you can easily manage. I have subscribed and unsubscribe to countless blogs, twitters, news, magazines. It all comes down to how they are bringing me the content and how well they are identifying Trends. If they can beat me in TrendSpotting, they are Masters of TrendSpotting. I will be glad to follow any of them. The more you have the more sources you can collect and the less it will take you to be creative. Let others do the work for you. Of course we are not advocating plagiarism, but having the right amount of resources and keywords can easily add words to your own content. You want to focus on writing down your personality and how you would write things. Now, that you are equipped with the tools, imagine words, trends, filtration popping out of thin air. You my friend, are a TrendSpotter.